When You Can't Have Kids: What works? 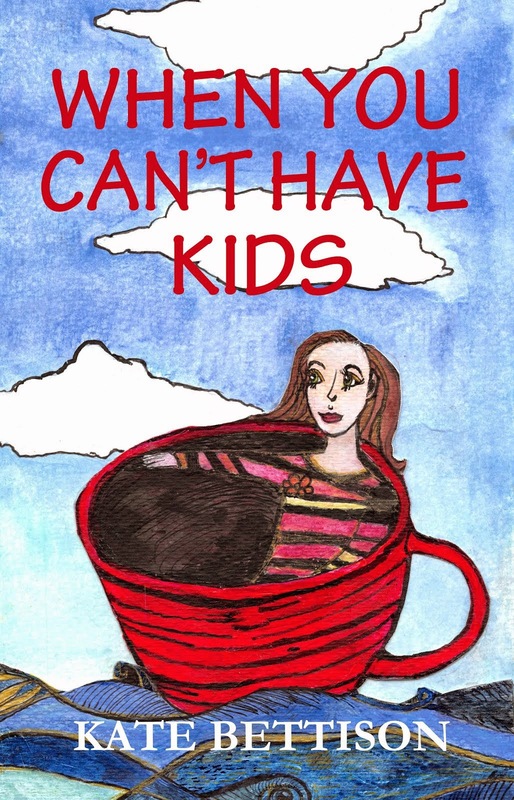 So, I haven’t heard from the latest publisher that I sent the “When You Can’t Have Kids” manuscript to – so I can assume that they are not interested. It’s fun trying to get published! This particular publisher’s way of letting you know if you are unsuccessful is for you to wait three months and then you can assume they are not interested – there is no email to say you have been unsuccessful, let alone feedback. I went through my usual hour of being disappointed and then I had a brain wave. I’ve written the book in the format of a short overview of our story, then 34 chapters with each covering a different issue we have experienced such as forgiveness, grief, telling other people, anniversaries of when our babies would have been born, and being around children. In each chapter there is a little story and then I discuss how the particular issue has impacted on Kirby and me. Now I’m starting to think that this format may not be the best way to write “When You Can’t Have Kids.” I’m thinking that perhaps it would be better to write our story as a story (as in a novel). I’m thinking that perhaps in its current format it sounds like I am lecturing a bit, which is something I never wanted to do. So, my lovely readers, I am seeking your opinions – should I stick to the current format, or should I rewrite it as a novel? I really would value your opinions. I'm not able to attach a file to this blog entry, so I've pasted a chapter from the book below so that you can get an idea of what the book looks like. Chapter Fourteen: Who Are We? Let it rather be a moving sea between the shores of your souls.” From “The Prophet”, Kahlil Gibran, artist, poet and writer, 1883-1931. After what was to be our final round of IVF I was at a bit of a loss as to what to do with my life. I had quit my job and I had time on my hands. I thought long and hard about it and decided that I really did want to follow my dream of being a writer. I looked into the courses that were available at local colleges and universities and selected a Masters of Creative Writing. I put in my application, along with a portfolio of writing, and I waited. It seemed to take forever to get news on whether I had been accepted or not, and I eventually came to the conclusion that I had not been successful. I was wrong. I was so excited to receive a letter of offer and I enrolled as soon as I could. There were seven other students in the course from all different backgrounds. We all got along instantly and the support within the group was tangible. I was in heaven. I legitimately had a reason to write, I met three times a week with people who were as passionate about books and writing as I was. I threw myself into my studies. I wrote as often as I could. I participated in every aspect of the course. It was at the end of the first year of the course, 2008, that the IVF clinic was to do the test on my eggs to see what their quality was like, but this didn't happen. During the second year of my course Kirby and I came to the realisation that we wouldn't be trying IVF again and that meant that we were very unlikely to have children. One of the things I loved about university was that I could wear jeans and sneakers. I love wearing jeans and sneakers. I was able to be casually dressed instead of having to dress up in work clothes all the time. It was great. I wore minimal jewellery and minimal make-up and I felt right at home. I was walking up to the university on a fine, clear morning in spring. The sunshine was lovely on my face and I was looking forward to the class. I wasn’t thinking about anything in particular as I glanced down at my left hand and realised that my ring finger was unadorned. I remembered that my wedding and engagement rings were still on my jewellery stand at home – I had forgotten to put them on before I left that morning. That’s what I told myself, anyway, but I began to feel uneasy as I realised that I couldn’t actually remember the last time I had worn my rings anywhere. I’ve never actually worn a lot of jewellery. I like jewellery, but I’m not much of a girl’s girl and I tend to keep it pretty simple. Sometimes I’ll forget to put jewellery on when I go out and I take off most of it if I’m just going to be at home. The two pieces that are always on me, though, are my wedding ring and my engagement ring. Kirby had my engagement ring designed. I love it because it is not too girly, but it is beautiful. My wedding ring matches the engagement ring perfectly. When I realised that I hadn’t worn my rings for quite some time I felt very uneasy. My studies were what was keeping me going and giving me a greater sense that perhaps there was something else out there if I wasn’t going to be a Mum. It was a way to be myself. I liked it. It was apart from being an IVF client, apart from someone who wanted children, apart from being someone who couldn't have children, and it was apart from being a wife. It scared me how much I enjoyed it all, and how much I liked being just me, and how uncertain I was about every other role in my life, especially being a wife. I kept those thoughts to myself, but I still turned them over in my mind and moved from seriously thinking about leaving our marriage, to feeling so ashamed it hurt. I knew that if I left Kirby I would hurt him so badly, but I just didn't know if I wanted to be married any more. The main question that ran around in my head was that if I knew that we wouldn’t have children, would I have married Kirby? I sometimes thought the answer was no. I would have stayed single, stayed in my apartment, and stayed myself. I couldn't understand it. It took me a couple of months, but eventually I realised that I had to talk to someone about it, and that person had to be Kirby. We sat down towards the end of the year and I told him what I had been feeling. To my utter surprise he said that he had been feeling the same way. We both sat there dumbfounded, unsure why this had happened and unsure what to do next. We didn't have answers straight away, but we talked a lot over the coming weeks, and we realised what the problem was. From the day we had met we saw our future, our relationship, as being very much focussed on being parents. We believed we would have children and we expected to be partners in raising them. Our main focus over the past few years as a couple had been on trying to have children. Now that was all gone and we weren't sure what we had. Who were we as a couple? We needed to do some work. We needed to redefine our relationship based on us as a couple, and not as parents. It took time, talking, being together and being alone with our thoughts to work through this. There weren't definite solutions that would fix it, but some of the things we did were to focus on our pets, to think about our house and how it worked for us as a couple, to set goals that we could achieve as a couple, to set goals we could achieve as individuals with the support of the other, and we also thought about ourselves as individuals and began to give each other space on a regular basis. By the end of the year I was again wearing my rings full time, and I felt settled in our marriage. This uncertainty in a relationship does not just happen for people who realise they can't have kids. I think all couples go through it at one time or another, and for different reasons, such as children move out of home, or one partner moves forward on a career or personal trajectory ahead of the other. There are all sorts of reasons, but for us it rested on who we were as a couple if we couldn't have children. And it's not over yet. I realise that for the rest of our lives we will be redefining our relationship as different experiences and knowledge come our way. We'll meet them as they come along, but I am thankful that I had those feelings of wanting to leave. They gave Kirby and I an opportunity to really recommit to our marriage, and to learn how to talk to each other in a way that we hadn't needed to before. Our marriage is stronger, and I am grateful for that.